Wednesday, 19 December 2018, 12:22p.m. Marama Fox has admitted drink-driving. Former Māori Party co-leader Marama Fox has admitted a charge of drink-driving. Fox appeared in the Hamilton District Court this morning where, through duty solicitor Mitchell Staub, she pleaded guilty to a charge of drink-driving on November 16. Court documents show Fox's Nissan Terrano was travelling south on Hood St, Hamilton, about 2.15am. The vehicle became stationary and police spoke to her. She then admitted being the driver. She blew 593mcg per litre of breath when she was stopped in Hamilton's Grantham St, court documents state. A result above 400mcg leads to a motorist being charged. However, 250mcg is new legal limit. When questioned by police, Fox said she had just come from an event at the Claudelands Event Centre. She told officers she'd had only had about six glasses of wine earlier in the night so thought she was okay to drive. After advising Community Magistrate Terry Bourke that she was pleading guilty, Staub asked him to refrain from entering a conviction as a Section 106 discharge without conviction application would be filed. Fox was remanded at large - without bail conditions - to reappear in court in February when the application will be heard. Outside court, Fox did not want to comment other than to say there were "extenuating circumstances" at the time which led to her driving. Fox, 48, is a former co-leader of the Māori Party, which was tipped out of Parliament at last year's general election. Following a stint on Dancing with the Stars, she revealed in July that she and Ben, her husband of 29 years, had split and she had moved out of the family home. Fox has also been battling high-profile financial problems related to her fledgling consultancy company, which was liquidated in September. It was estimated that she owed around $156,000 to creditors - but Fox said she was determined everyone would be paid back. 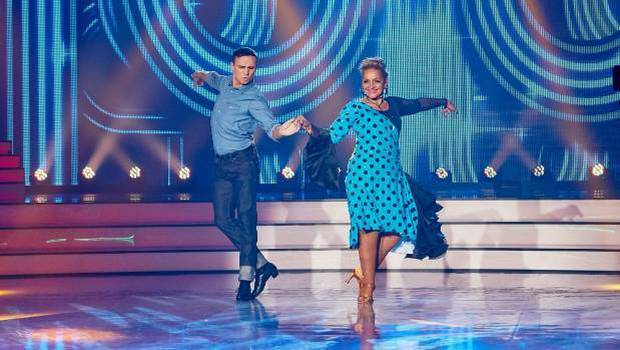 Earlier this year Marama Fox appeared in Dancing With the Stars. Her business problems prompted her to offer her resignation as co-leader of the Māori Party, an offer that was accepted by the party as more stories emerged of businesses being left out of pocket by Marama Fox Consultancy Group Tapui. Fox, who now lives in Masterton, set up the business, aimed at building affordable homes for homeless and low-income families, after she and fellow co-leader Te Ururoa Flavell lost their seats in Parliament at the last election. Fox told the Herald in September that was eyeing a return to Parliament in 2023, but said she was focused on her current cashflow problems. Fox is a mother of nine and has seven grandchildren. She entered Parliament in 2014.